FREMONT, Calif., Aug. 31, 2016 /PRNewswire/ — Asterias Biotherapeutics, Inc. (NYSE MKT: AST), a biotechnology company focused on the emerging field of regenerative medicine, today announced that its Data Monitoring Committee (DMC) has reviewed the safety data from the initial cohort of three patients dosed with 2 million cells, and a subsequent five patients in the second cohort dosed with 10 million cells, and has cleared the company to now begin dosing a third cohort of 5-8 complete cervical injury patients (AIS-A patients) with the highest dose of 20 million cells. Concurrently, the study is also proceeding with enrolling the first cohort of 5-8 sensory incomplete cervical spinal cord injury patients (AIS-B patients), each of whom will be administered 10 million cells. The SCiStar study is an ongoing Phase 1/2a clinical trial funded in part by a $14.3 million grant from the California Institute for Regenerative Medicine (CIRM) and is designed to evaluate the safety and efficacy of escalating doses of AST-OPC1 in newly injured patients with sensory and motor complete cervical spinal cord injury (SCI), as well as newly injured patients with sensory incomplete SCI. These patients are commonly referred to as AIS-A and AIS-B patients, respectively. The results of the ongoing trial continue to support a positive safety profile for AST-OPC1. There have been no serious or unexpected adverse events related to AST-OPC1, the administration procedure or the accompanying short course of low-dose immunosuppression in any of the patients treated with AST-OPC1, including five patients in an earlier Phase 1 trial with neurologically complete thoracic SCI. “The positive safety data in the previous phase 1 study and in the ongoing phase 1/2a study gives us the confidence to now proceed to administration of 20 million cells, which based on our significant pre-clinical research is likely well within the dosing range where we would expect to see clinically meaningful improvement in these patients,” said Dr. Edward Wirth, Chief Medical Officer of Asterias Biotherapeutics. The data set evaluating the efficacy results six months after implantation of 10 million AST-OPC1 cells in complete cervical spinal cord injury patients will be available in January 2017 and will focus on improvement in physical functioning of the upper extremities (fingers, hands and arms) of each treated patient utilizing scoring on the International Standards for Neurological Classification of Spinal Cord Injury (ISNCSCI scale). The published literature and opinion leaders in the spinal cord injury field indicate that a two motor level improvement in functioning utilizing this validated scale is clinically meaningful for these patients and should be the key measure in the evaluation of new therapies. “According to the published scientific literature as well as key opinion leaders that we speak to, a two motor level improvement in physical functioning on the ISNCSCI scale can translate into a significant improvement in quality of life, reduced need for daily care and increased ability to live independently for patients with cervical spinal cord injuries. We look forward to announcing the six month follow up data from this 10 million cell cohort in January 2017,” commented Steve Cartt, President & Chief Executive Officer. The SCiStar trial is testing three sequential escalating doses of AST-OPC1 administered at up to 20 million AST-OPC1 cells in as many as 35 patients with sub-acute, C-5 to C-7, motor complete (AIS-A or AIS-B) cervical SCI. These individuals have essentially lost all movement below their injury site and experience severe paralysis of the upper and lower limbs. AIS-A patients have lost all motor and sensory function below their injury site, while AIS-B patients have lost all motor function but may retain some minimal sensory function below their injury site. AST-OPC1 is being administered 14 to 30 days post-injury. Patients will be followed by neurological exams and imaging procedures to assess the safety and activity of the product. Additional information on the Phase 1/2a trial, including trial sites, can be found at www.clinicaltrials.gov, using Identifier NCT02302157, and at the SCiStar Study Website (www.scistar-study.com). Asterias previously announced that it had been granted FDA clearance to expand patient enrollment in the Phase 1/2a clinical trial from 13 patients to up to 35 patients, based on the continued favorable safety profile observed in the ongoing clinical study. The Company believes that this change will increase the statistical confidence of the safety and efficacy readouts, reduce the risks of the AST-OPC1 program and position the product for potential accelerated regulatory approvals. Asterias has received a Strategic Partnerships Award grant from the California Institute for Regenerative Medicine, which provides $14.3 million of non-dilutive funding for the Phase 1/2a clinical trial and other product development activities for AST-OPC1. More than 17,000 people sustain a spinal cord injury each year, but there are no FDA-approved therapeutics or devices that could potentially restore some function in individuals who have recently sustained a spinal cord injury. AST-OPC1, an oligodendrocyte progenitor population derived from human embryonic stem cells, has been shown in animals and in vitro to have three potentially reparative functions that address the complex pathologies observed at the injury site of a spinal cord injury. These activities of AST-OPC1 include production of neurotrophic factors, stimulation of vascularization, and induction of remyelination of denuded axons, all of which are critical for survival, regrowth and conduction of nerve impulses through axons at the injury site. In preclinical animal testing, AST-OPC1 administration led to remyelination of axons, improved hindlimb and forelimb locomotor function, dramatic reductions in injury-related cavitation and significant preservation of myelinated axons traversing the injury site. In a previous Phase 1 clinical trial, five patients with neurologically complete, thoracic spinal cord injury were administered two million AST-OPC1 cells at the spinal cord injury site 7-14 days post-injury. They also received low levels of immunosuppression for the next 60 days. Delivery of AST-OPC1 was successful in all five subjects with no serious adverse events associated with the administration of the cells, with AST-OPC1 itself, or the immunosuppressive regimen. No evidence of rejection of AST-OPC1 was observed in detailed immune response monitoring of all patients. In four of the five patients, serial MRI scans indicated that reduced spinal cord cavitation may have occurred. Based on the results of this study, Asterias received approval from FDA to progress testing of AST-OPC1 to patients with complete cervical spine injuries, which represents the first targeted population for registration trials. Asterias Biotherapeutics, Inc. is a leading biotechnology company in the emerging field of regenerative medicine. The company’s proprietary cell therapy programs are based on its immunotherapy and pluripotent stem cell platform technologies. Asterias is presently focused on advancing three clinical-stage programs which have the potential to address areas of very high unmet medical need in the fields of oncology and neurology. AST-OPC1 (oligodendrocyte progenitor cells) is currently in a Phase 1/2a dose escalation clinical trial in spinal cord injury. AST-VAC1 (antigen-presenting autologous dendritic cells) is being evaluated by Asterias for further development after demonstrating promise in a Phase 2 study in Acute Myeloid Leukemia (AML) and completing a successful end-of-Phase 2 meeting with the FDA. AST-VAC2 (antigen-presenting allogeneic dendritic cells) represents a second generation, allogeneic immunotherapy. The company’s research partner, Cancer Research UK, plans to begin a Phase 1/2 clinical trial of AST-VAC2 in non-small cell lung cancer in 2017. Additional information about Asterias can be found at www.asteriasbiotherapeutics.com. MARIETTA, Ga., Aug. 30, 2016 /PRNewswire/ — MiMedx Group, Inc. (NASDAQ: MDXG), the leading regenerative medicine company utilizing human amniotic tissue and patent-protected processes to develop and market advanced products and therapies for the Wound Care, Surgical, Orthopedic, Spine, Sports Medicine, Ophthalmic, and Dental sectors of healthcare, provided an update today on the status of key clinical trials. Pursuant to the Company’s agreement with the Food and Drug Administration (“FDA”) to pursue a Biologics License Application (“BLA”) with the Company’s AmnioFix® Injectable product, MiMedx entered a Phase IIB Randomized Control Trial (“RCT”) for the treatment of plantar fasciitis in August, 2014. The FDA approved the clinical study protocol which targets 146 subjects at up to 20 clinical sites. The study has met a very significant milestone. In the initial protocol, a 24-month follow-up blood draw was requested by the Agency in order to determine if the micronized dHACM injection elicited an immune response in patients. 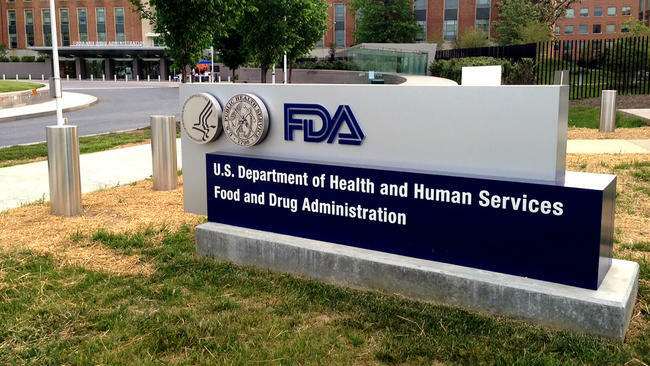 An amendment was submitted to the FDA based on generated data requesting a protocol amendment to remove the 24-month follow-up requirement for this clinical trial. Because of the excellent safety profile and the lack of immunogenic response seen in the study patients thus far, the FDA has agreed that two year data is NOT needed and reduced the requirement to one year. This is a major milestone for this study. The multi-center DFU study was designed to have in excess of 10 sites and a target enrollment of 130 patients. This study currently has 12 sites enrolling patients, with 105 enrolled to date. The Company expects to complete enrollment by the end of this year. This study has been ongoing since 2014. The total cost of the study is expected to be less than $2 million, and a large portion of this estimated $2 million has already been expensed by the Company. The multi-center VLU study targeted in excess of 10 sites and 120 patients. At present, 11 sites have enrolled 123 patients. MiMedx expects that this study will conclude enrollment shortly, and will be completed by the end of this year. This study is also expected to cost under $2 million. As with the other two studies mentioned above, a large portion of the cost of this study has already been expensed. “It is well known that the FDA is reviewing its HCT/p 361 regulations and Draft Guidance documents, and considering potentially further modifications of the regulations. By early 2017, MiMedx will have completed a total of three large multi-center clinical trials for EpiFix on chronic wounds that will meet the FDA’s 2006 Guidance Document for Phase III clinical trials of chronic wounds. The FDA typically only requests two such studies in BLA programs, so we are extremely well positioned for any potential changes in regulations related to HCT/ps and their use in chronic wounds. Also, MiMedx has already spent the majority of the dollars needed for those clinical trials. Should the FDA update its regulations such that our EpiFix product line would need a BLA after a suitable transition period, or frankly, if we decide to voluntarily request a BLA for a specific indication for use, we feel that the data we will have from these three large clinical trials should be sufficient to meet the FDA’s clinical trials requirement for a BLA. Therefore, we believe that MiMedx is in the leadership position in this area, no matter which direction the FDA takes relative to updating its Draft Guidance documents and regulations,” added Taylor. MiMedx management will host a live broadcast of its conference call to discuss the clinical studies highlighted in this press release. In light of the upcoming Labor Day holiday, the conference call will be held on Wednesday, September 7, 2016, beginning at 10:30 a.m. eastern time. A listen-only simulcast of the MiMedx Group conference call will be available on-line at the Company’s website at www.mimedx.com. A 30-day on-line replay will be available approximately one hour following the conclusion of the live broadcast. The replay can also be found on the Company’s website at www.mimedx.com. MiMedx® is an integrated developer, processor and marketer of patent protected and proprietary regenerative biomaterial products and bioimplants processed from human amniotic membrane and other birth tissues and human skin and bone. “Innovations in Regenerative Biomaterials” is the framework behind our mission to give physicians products and tissues to help the body heal itself. The MiMedx allograft product families include our: dHACM family with AmnioFix®, EpiFix® and EpiBurn® brands; Amniotic Fluid family with OrthoFlo brand; Umbilical family with EpiCord™ and AmnioCord™ brands; Placental Collagen family with CollaFix™ and AmnioFill™ brands; Bone family with Physio® brand; and Skin family with AlloBurn™ brand. AmnioFix, EpiFix, and EpiBurn are our tissue technologies processed from human amniotic membrane; OrthoFlo is an amniotic fluid derived allograft; EpiCord™ and AmnioCord™ are derived from the umbilical cord; Physio is a unique bone grafting material comprised of 100% bone tissue with no added carrier; AlloBurn is a skin product derived from human skin designed for the treatment of burns; and CollaFix, our next brand we plan to commercialize, is our collagen fiber technology, developed with our patented cross-linking polymers, designed to mimic the natural composition, structure and mechanical properties of musculoskeletal tissues in order to augment their repair. We process the human amniotic membrane utilizing our proprietary PURION® Process, to produce a safe and effective implant. MiMedx is the leading supplier of amniotic tissue, having supplied over 600,000 allografts to date for application in the Wound Care, Burn, Surgical, Orthopedic, Spine, Sports Medicine, Ophthalmic and Dental sectors of healthcare. This press release includes statements that look forward in time or that express management’s beliefs, expectations or hopes. Such statements are forward-looking statements within the meaning of the Private Securities Litigation Reform Act of 1995. These statements include, but are not limited to the Company’s belief that it is the best positioned organization to fulfill further regulatory requirements in the future, if they are mandated by the FDA; that MiMedx is in a leadership position related to clinical trial requirements for BLAs, no matter which direction the FDA takes relative to updating its guidance documents; that in the event the FDA finalizes its Draft Guidance on Homologous Use in its current state, the Company will immediately begin to enter the process for a BLA, so as to claim wound healing; that the Company expects that the clinical data it will have from its three Phase III level studies will meet the study requirements for a BLA for chronic wounds, and that the two remaining studies should be complete and submitted for publication early next year. Among the risks and uncertainties that could cause actual results to differ materially from those indicated by such forward-looking statements include that the FDA may impose regulations that are not anticipated by the Company, that the data the Company will have from its three large clinical trials may not be sufficient to meet the FDA’s clinical trials requirements for a BLA or that the requirements may change, that the Company may not be able to enter the process for a BLA so as to claim wound healing should this become necessary, that the two remaining Phase III level studies may not be completed on schedule and may not be ready for publication early next year or may not ultimately be accepted for publication, and the risk factors detailed from time to time in the Company’s periodic Securities and Exchange Commission filings, including, without limitation, its 10-K filing for the fiscal year ended December 31, 2015 and its most recent 10Q filing. By making these forward-looking statements, the Company does not undertake to update them in any manner except as may be required by the Company’s disclosure obligations in filings it makes with the Securities and Exchange Commission under the federal securities laws. TORONTO, ON–(Marketwired – August 29, 2016) – Titan Medical Inc. (TSX: TMD) (OTCQX: TITXF), a medical device company focused on the design and development of a robotic surgical system for application in minimally invasive surgery (“MIS”), today announced that Dr. Dennis Fowler will resign from Titan effective August 31, 2016. 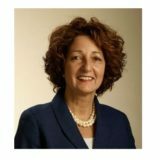 Dr. Fowler has been with Titan since March 2014, most recently as Executive Vice President of Clinical and Regulatory Affairs. James Shore, Director of Quality, and Christopher Seibert, Vice President of Corporate Accounts, will be assuming Dr. Fowler’s responsibilities on an interim basis while a search is initiated. Mr. Shore, in addition to his responsibilities in quality will assume responsibility for regulatory matters. Mr. Seibert, in addition to his responsibility for corporate accounts, will take on the role of Project Manager for the development of Titan’s robotic surgical system. Both James and Christopher possess industry related experience relevant to their new areas of responsibility. Dr. Fowler is willing to be available to Titan as a consultant. “I have enjoyed leading the development of the SPORT Surgical System and believe that it has significant potential for both clinical and economic success,” said Dr. Fowler. “On behalf of the Board of Directors and entire Titan team, I’d like to thank Dr. Fowler for his contributions to the development of the SPORT’ Surgical System and wish him the best in his future endeavors,” said John Hargrove, Chief Executive Officer. Titan Medical Inc. is a Canadian public company focused on the design and development of a robotic surgical system for application in MIS. The Company’s SPORT’ Surgical System, currently under development, includes a surgeon-controlled robotic platform that incorporates a 3D high-definition vision system and multi-articulating instruments for performing MIS procedures through a single incision. The surgical system also includes a surgeon workstation that provides a surgeon with an advanced ergonomic interface to the robotic platform for controlling the instruments and provides a 3D high-definition endoscopic view of inside a patient’s body. The SPORT’ Surgical System is designed to enable surgeons to perform a broad set of surgical procedures for general abdominal, gynecologic, and urologic indications. For more information, visit the Company’s website at www.titanmedicalinc.com. This news release contains “forward-looking statements” which reflect the current expectations of management of the Company’s future growth, results of operations, performance and business prospects and opportunities. Wherever possible, words such as “may”, “would”, “could”, “will”, “anticipate”, “believe”, “plan”, “expect”, “intend”, “estimate”, “potential for” and similar expressions have been used to identify these forward-looking statements. These statements reflect management’s current beliefs with respect to future events and are based on information currently available to management. Forward-looking statements involve significant risks, uncertainties and assumptions. Many factors could cause the Company’s actual results, performance or achievements to be materially different from any future results, performance or achievements that may be expressed or implied by such forward-looking statements, including, without limitation, those listed in the “Risk Factors” section of the Company’s Annual Information Form dated March 30, 2016 (which may be viewed at www.sedar.com). Should one or more of these risks or uncertainties materialize, or should assumptions underlying the forward-looking statements prove incorrect, actual results, performance or achievements may vary materially from those expressed or implied by the forward-looking statements contained in this news release. These factors should be considered carefully, and prospective investors should not place undue reliance on the forward-looking statements. Although the forward-looking statements contained in the news release are based upon what management currently believes to be reasonable assumptions, the Company cannot assure prospective investors that actual results, performance or achievements will be consistent with these forward-looking statements. LES Society announces support for AxioMed, manufacturer of viscoelastic total disc replacement technology for the spine. LES Society announced today it has granted its support to AxioMed, LLC, manufacturer of an advanced viscoelastic disc replacement for the spine. The LES Society has made a commitment to the advancement of spine surgeries through the application of viscoelastic total disc replacement technologies, such as AxioMed’s Freedom lumbar and cervical discs. As part of this commitment to the advancement of spine care, LES Society has appointed Jake Lubinski as Director of Less Exposure Spine Surgery in Motion (LESSinMotion). The LESSinMotion task force, in collaboration with the LES Society, will focus exclusively on motion preservation research and development. Total disc replacement technology adoption rates will continue to grow through partnership between LESSinMotion and surgeons that use Less Exposure Surgery techniques and technology. The evolution of total joint technology now enables restoration of joint motion with a high degree of patient satisfaction. LESSinMotion believes it can replicate this success in spine with innovative and advanced viscoelastic total disc replacements like AxioMed. LESSinMotion was founded on the principle that spine motion technology and adoption must evolve for the better of the patient. LESSinMotion is an international task force of spine surgeons seeking to advance motion preservation technologies, education, and research to improve patient care. As the largest change in Medicare physician payment since the Sustainable Growth Rate formula, the Medicare Access and CHIP Reauthorization Act (MACRA) will affect up to 836,000 clinicians and allocate more than $1.2 billion in payment bonuses and penalties in its first year alone. Reflecting the importance of this policy, the 962 page proposed rule for its implementation generated thousands more pages of comments, with nearly 4,000 organizations and individuals submitting formal comment letters to the Centers for Medicare and Medicaid Services (CMS). 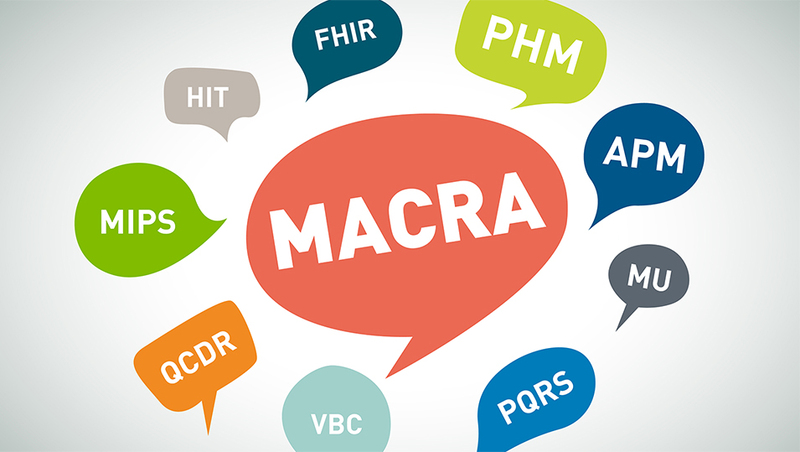 The proposed rule has been summarized by CMS, and there have been several Health Affairs Blogposts on MACRA. A major focus of the proposed rule is on the two main pathways for physician payments: the Merit-Based Incentive Payment System (MIPS), which adjusts fee-for-service (FFS) payments based on a composite measure of quality and value, and alternative payment models (APMs) that move away from FFS payment. How these features of the legislation are implemented will have a major impact not only on clinician payment but also on further developments in health care organizations, the way that they deliver care, and potentially the cost of care. In this post, we highlight several big-picture policy questions raised by the proposed rule. More details on these topics are included in our comment letter to CMS. What Alternative Payment Models Will Be Available To Clinicians? One of the law’s key goals is to encourage movement from the traditional fee-for-service payment system to alternative payment models (APMs) focused more directly at the patient and population level. As an incentive for this shift, MACRA provides a 5 percent bonus to providers who participate in “advanced” APMs. 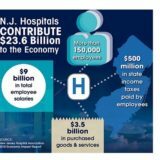 The legislation sets a bar that envisions most clinicians would not qualify without significant payment change — it requires eligible providers to bear more than “nominal” financial risk for the costs of care they provide, to use quality measures similar to MIPS, and to use electronic records to coordinate and improve care. There are few existing Medicare APMs that meet these criteria. If implemented as proposed in the rule, less than 10 percent of eligible clinicians would be participating in an advanced APMs. Several of the advanced APMs are accountable care organization (ACO) models with significant downside risk on total cost of care, which effectively limits availability to large consolidated provider organizations with substantial financial capital. Another is the Comprehensive Primary Care Plus (CPC+) pilot, which will be available to only some primary care providers and may not be permanent. The original CPC model also still needs to demonstrate overall program cost savings and quality improvement to be expanded nationally. Some new options for certain specialists have become available since the MACRA rule was published. CMS proposed a larger set of mandatory episode bundles for hospital-based procedures and conditions, which expands the initial joint replacement bundled payment pilot to bypass surgery as well as heart attack and hip fracture care. CMS noted that physicians who provide enough of their care in collaboration with hospitals implementing these bundles can also qualify for advanced APM status. MONTPELLIER, France, Aug. 29, 2016 (GLOBE NEWSWIRE) — MEDTECH (Euronext, FR0010892950 – ROSA), a company specialized in designing, developing and marketing innovative surgical assistance robots, will be showcasing its ROSA® robot at three major congresses in September. This event, which takes place in Athens, Greece, from September 4 to 8, gathers around 2,500 experts in surgery of the central nervous system (brain and spine). At the congress, Dr. Thomas Freiman, a neurosurgeon at Frankfurt University Hospital, will be presenting the results of his study on robotic accuracy in stereotactic procedures with the assistance of ROSA® Brain (September 7, 11:00 a.m. and 4.30 p.m. local time at Medtech’s Booth #15). This congress, scheduled in San Diego, CA, USA, from September 26 to 28, is a major event in the field of neurosurgery, gathering around 3,000 specialists in cranial and spine surgery. Two ROSA® robots will be showcased at Medtech’s Booth #939 for demonstrations of minimally invasive surgical procedures of the central nervous system. This scientific meeting, organized from September 28 to October 1 in Madrid, Spain, will gather leading European centers for neurosurgery. Experts in the field will be able to learn about the benefits of using the ROSA® robot for minimally invasive brain and spine surgery at Medtech’s Booth #15. Pr. Mohammad Maarouf, a neurosurgeon at Krankenhaus Merheim in Cologne, Germany, will also discuss his robotic experience with ROSA® for deep brain stimulation. Dr. Michel Lefranc, a neurosurgeon at Amiens University Hospital in France, will complete the scientific session with the results of his clinical activity in robotic surgery for the brain and spine. In 2007, MEDTECH developed ROSA®, an innovative technological device devoted to brain surgery procedures. ROSA® has been approved in Europe, the United States and Canada. In July 2014, MEDTECH obtained the CE marking for its new product ROSA® Spine, a robotic- assistive device for minimally invasive surgery of the spine. In January 2016, MEDTECH obtained the FDA clearance for its new product, ROSA® Spine, a robotic-assistive device for minimally invasive surgery of the spine. 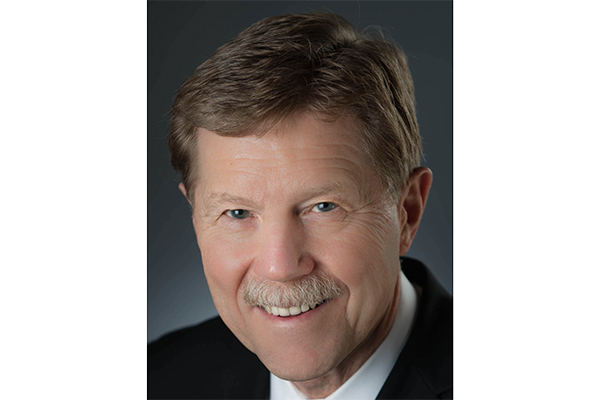 Dr. David Bar-Or, Ampio’s Chief Science Officer, noted, “This manuscript reports that in the presence of either IL-1β or TNFα, LMWF-5A (Ampion™) increased the expression of both COX2 mRNA and protein, and this increase was significant compared to that observed with IL-1β- or TNFα-stimulated, saline-treated cells. LMWF-5A appears to trigger increased anti-inflammatory PG signaling, and this may be a primary component of its therapeutic mode of action in the treatment of OAK.” In simple words, these findings indicate that the mechanism of action of Ampion™ is through the production of beneficial prostaglandins by synoviocytes for both the resolution of inflammation and tissue regeneration. Osteoarthritis (OA) is a progressive disorder of the joints involving degradation of the intra-articular cartilage, joint lining, ligaments, and bone. The incidence of developing osteoarthritis of the knee over a lifetime is approximately 45%. As this disease is associated with age, obesity, and diabetes this number will continue to grow. Certain risk factors in conjunction with natural wear and tear lead to the breakdown of cartilage. Osteoarthritis is caused by inflammation of the soft tissue and bony structures of the joint, which worsens over time and leads to progressive thinning of articular cartilage. Other symptoms include narrowing of the joint space, synovial membrane thickening, osteophyte formation and increased density of subchondral bone. Ampio Pharmaceuticals, Inc. is a development stage biopharmaceutical company primarily focused on the development of therapies to treat prevalent inflammatory conditions for which there are limited treatment options. We are developing compounds that decrease inflammation by (i) inhibiting specific pro-inflammatory compounds by affecting specific pathways at the protein expression and at the transcription level; (ii) activating specific phosphatase or depletion of the available phosphate needed for the inflammation process, and (iii) decreasing vascular permeability. Ampio’s statements in this press release that are not historical fact, and that relate to future plans or events, are forward-looking statements within the meaning of the Private Securities Litigation Reform Act of 1995. Forward-looking statements can be identified by the use of words such as “believe,” “expect,” “plan,” “anticipate,” and similar expressions. These forward-looking statements include statements regarding Ampio’s scientific presentations on our Ampion™ product. The risks and uncertainties involved include those detailed from time to time in Ampio’s filings with the Securities and Exchange Commission, including without limitation, under Ampio’s Annual Report on Form 10-K and Quarterly Reports on Form 10-Q. Ampio undertakes no obligation to revise or update these forward-looking statements, whether as a result of new information, future events or otherwise. The bioabsorbable fourth generation Bioretec Activa implants have shown excellent results over the past 10 years with 100,000 patients operated: implants maintain their strength and are safely absorbed in the body. The rate of complications has been only 0.01%. Orthopedic surgeons as well as trauma and sports medicine surgeons have used bioabsorbable fourth generation Bioretec Activa implants for the past 10 years primarily to treat leg, ankle, knee, foot and upper limb fractures and injuries. The Bioretec Activa and CiproScrew™ product families include nails, screws and pins as well as antibiotic-releasing screws. Bioretec Activa implants have been used in 33 countries including the United States, France, China, Russia and Brazil. The most systematic monitoring can be found from the Maude system in the United States where no implant-related complications have been reported out of 25,000 patients operated. “I have used Bioretec bioabsorbable products since 2008, specially Bioretec ActivaScrew™. I encountered no screw breakage during the implantation, neither have we seen any cysts or adverse tissue reactions related to the Bioretec´s implants. I am very pleased with results,” says professor and Chief Surgeon Tero Järvinen from Tampere University School of Medicine. 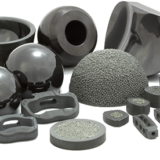 Bioretec’s implants have been developed to work together with their environment: the implant is strong when the bone is at its weakest and degrades as the bone becomes stronger. Thanks to the Self-Locking™ technology the diameter of the implant expands, while the Auto-Compression™ ensures the longitudinal contraction of the implant. These features keep the damaged bone under sufficient compression for eight weeks. Once the damaged area has healed sufficiently, the implant degrades by hydrolysis, forming lactic and glycolic acid until it is finally metabolized into carbon dioxide and water. The bioabsorption of the implant takes approximately two years without remarkable fluid accumulation, infections or rejection. Bioretec Ltd. is a Finnish material technology company focused on the development, manufacturing, marketing and sales of bioabsorbable, bioactive and drug-releasing surgical implants. All Bioretec implants are designed and manufactured in Finland. 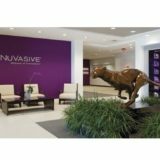 MIAMI–(BUSINESS WIRE)–Stimwave LLC, a medical device manufacturer and independent research institute headquartered in South Florida, has achieved long-term success for hundreds of pain patients during the early adaptor rollout of the world’s first miniature wireless pain relief system. Embraced by pain specialists seeking non-opioid treatments, the drug-free, breakthrough remedy offers new hope to the more than 400 million people worldwide who suffer from chronic pain. 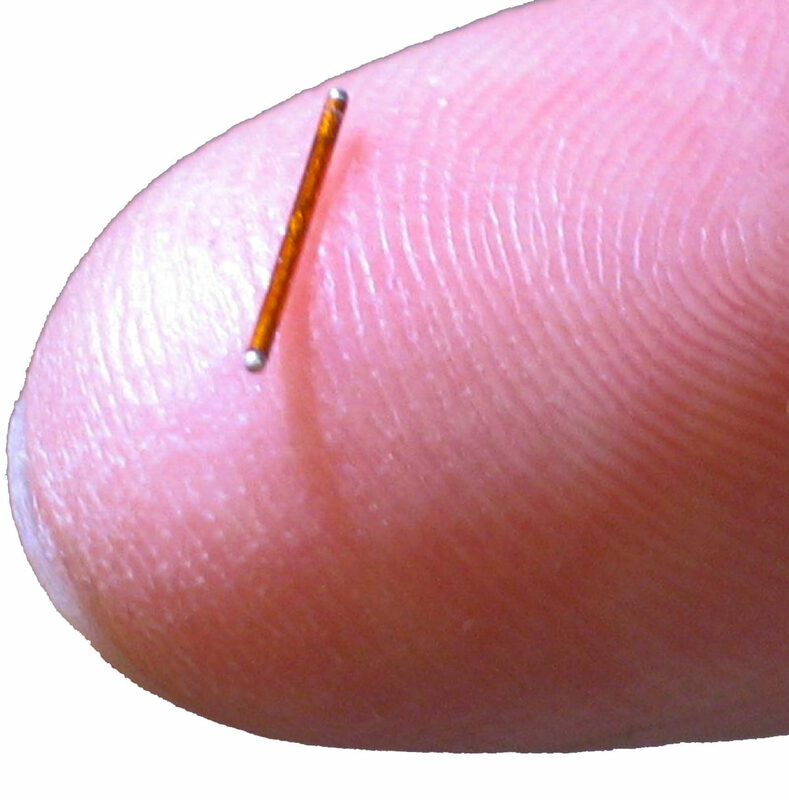 Stimwave’s Wireless Pain Relief devices are 95 percent smaller than any other neuromodulation device on the market, so small, with a diameter of less than 1.5 millimeters, that they are simply implanted through a standard needle during an outpatient procedure and a minimally invasive receiver placement technique. Because they are wireless, with the power source discreetly worn outside the body, there is no need for the invasive “open surgery” required of earlier neuromodulation devices, reducing the risk of infection, pain at the site of a large battery, and other long-term complications of battery units and connectors that account for 85 percent of adverse events, according to registries. Further, this miniature wireless device is powered by a wearable antenna, easily integrated into clothing and requiring no sticky gels that could irritate the skin, and there are no “wires” protruding from the body. Stimwave launched it’s FDA-cleared devices for the relief of chronic back and leg pain to a limited number of patients throughout 2015, and in March 2016 was granted FDA 510(k) for the relief of peripheral nervous system (PNS) pain, becoming the only neuromodulation device manufacturer cleared by the FDA to help reduce chronic neuropathic pain at most locations throughout the body, from back and leg pain addressed by spinal cord stimulation to PNS treatment for shoulder pain, wrist and elbow pain, knee pain, hip pain and more. Stimwave’s wireless device delivers small pulses of energy to specific nerves, triggering a reaction that enables the brain to remap pain pathways, thus providing pain relief. The Stimwave device contains no internal batteries or other toxic materials. The device is fixed in place by an anchor, so it stays “in line” with the body’s nerves, allowing a freedom of motion that is impossible with bulkier implanted devices. The Stimwave portfolio also includes the only neuromodulation system approved for “full body” MRI examinations, meaning the device does not have to be removed for 3-Tesla MRI exams. This is a significant diagnostic breakthrough as it allows patients with pain to benefit from neuromodulation without restricting their access to MRI-assisted diagnoses, for current or future medical issues. “Stimwave saved my life. Without this amazing product, I would still be in terrible pain, on medication, and having my health fail,” said Anthony Torres, a cargo crane operator severely injured in an industrial accident. [Please see accompanying Patient Profiles.] 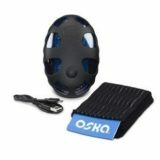 “The external wireless batteries are small, effective, and simple-to-use. Please visit www.stimwave.com for more information. MARIETTA, Ga., Aug. 30, 2016 /PRNewswire/ — MiMedx Group, Inc. (NASDAQ: MDXG), the leading regenerative medicine company utilizing human amniotic tissue and patent-protected processes to develop and market advanced products and therapies for the Wound Care, Surgical, Orthopedic, Spine, Sports Medicine, Ophthalmic, and Dental sectors of healthcare, announced today that it will attend the Morgan Stanley Global Healthcare Conference in New York, NY. Parker H. “Pete” Petit, Chairman and CEO, William C. Taylor, President and COO, and Michael J. Senken, Chief Financial Officer, are scheduled to participate in one-on-one and small group meetings on Wednesday, September 14, 2016, at the Grand Hyatt New York. MiMedx® is an integrated developer, processor and marketer of patent protected and proprietary regenerative biomaterial products and bioimplants processed from human amniotic membrane and other birth tissues and human skin and bone. “Innovations in Regenerative Biomaterials” is the framework behind our mission to give physicians products and tissues to help the body heal itself. The MiMedx allograft product families include our: dHACM family with AmnioFix®, EpiFix® and EpiBurn® brands; Amniotic Fluid family with OrthoFlo brand; Umbilical family with EpiCord™ and AmnioCord™ brands; Placental Collagen family with CollaFix™ brand; Bone family with Physio® brand; and Skin family with AlloBurn™ brand. AmnioFix, EpiFix, and EpiBurn are our tissue technologies processed from human amniotic membrane; OrthoFlo is an amniotic fluid derived allograft; EpiCord™ and AmnioCord™ are derived from the umbilical cord; Physio is a unique bone grafting material comprised of 100% bone tissue with no added carrier; AlloBurn is a skin product derived from human skin designed for the treatment of burns; and CollaFix, our next brand we plan to commercialize, is our collagen fiber technology, developed with our patented cross-linking polymers, designed to mimic the natural composition, structure and mechanical properties of musculoskeletal tissues in order to augment their repair.